EX+; George Thorogood~ very nice! Cherry Sunburst; absolutely 100% original, a 1-owner guitar that was not played much and never messed with; Gibson OSSC; very light; 2 P-90’s; original frets have just a little play wear, guitar is amazingly clean, with just slight play wear and some oxidation to nickel; HARDLY ANY FINISH CHECKING; binding is perfect; one ding on headstock and one ding on back of neck are about only flaws; stamped ES125TDC inside f-hole; ’Kluson Deluxe’ single-line tuners are clean, clean! It has the non-tunamatic bridge. 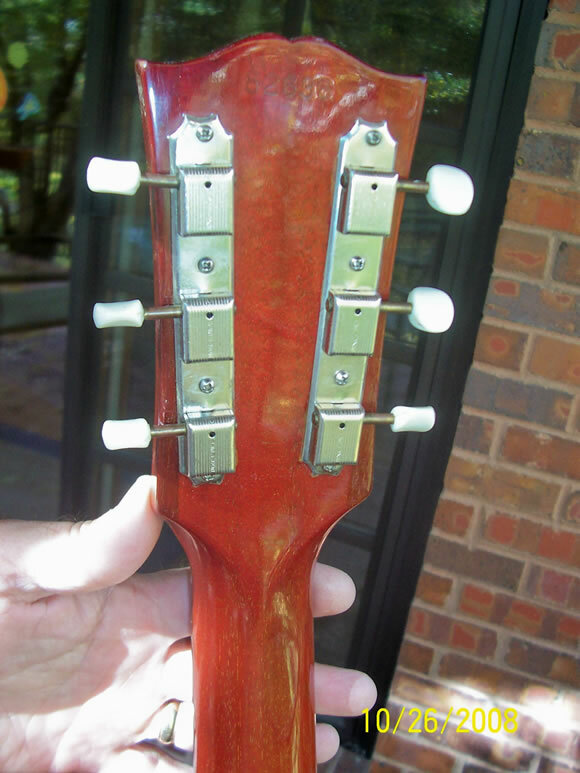 A 1962 ES-330 WITH 2 P-90 PICKUPS SELLS FOR $4500 - $5000... AND THEY ARE ALMOST THE SAME GUITAR EXCEPT FOR THE CUTAWAY!